You may notice on Windows Server 2012 R2, when applying Windows Updates that one or more .NET updates may fail with error code 0x80092004. 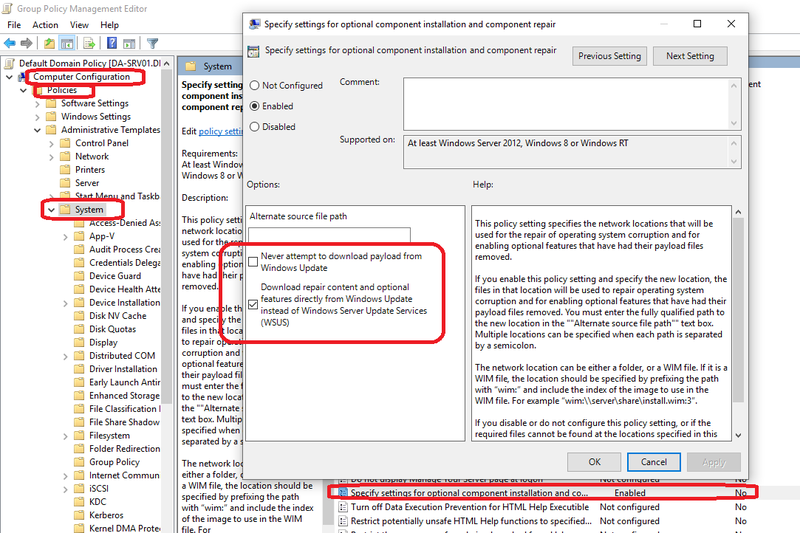 This issue may affect all, or only some of your Windows Server 2012 R2 servers. 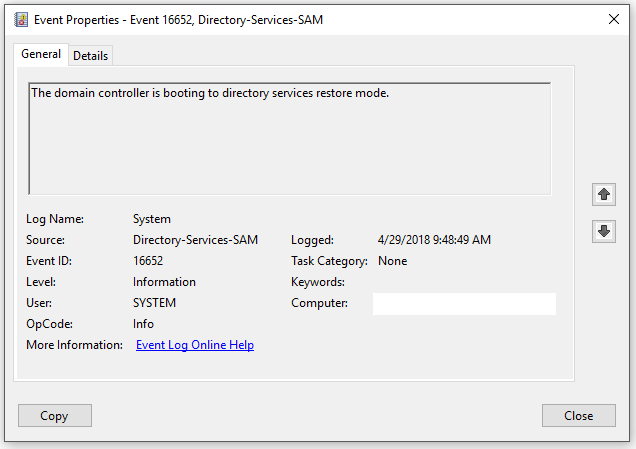 When troubleshooting this, you may notice numerous specific errors such as “Couldn’t find the hash of component: NetFx4-PenIMC”, or errors with a CAB file. 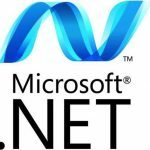 These errors will probably come from update KB4054566 and KB4340558. To resolve this, we are going to download the updates MSU files from the Microsoft Update Catalog, and fully uninstall, then re-install the problematic updates. Please Note: Always make sure you have a full backup before making modifications to your servers. You have now fixed the issue and all updates should now be cleanly installing via Windows Updates! Leave a comment and let me know if this worked for you! This weekend I configured Azure AD Connect for pass through authentication for my on-premise Active Directory domain. This was a first for me and extremely easy to do, however there was a few issues with my firewall and SSL content filtering and scanning rules which was blocking the connection. I figured I’d create a post providing some information you’ll need to get this setup and running quickly. In my environment, I have a Sophos UTM firewall which provides firewall services (port blocking), as well as HTTP and HTTPs scanning and filtering (web filtering). After running the Azure AD Connect wizard, all went good however there was an error at the end of the wizard notifying that synchronization was configured but is not occurring due to firewall. It provided a link for more information (that actually didn’t really contain the information needed). 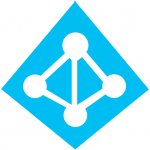 -Azure AD Connect in the Azure portal is reporting that pass-through authentication is Enabled, however after expanding the item, the Authentication Agent reports a status of Inactive on your internal domain controllers. This event log above is due to the SSL and HTTPs content filtering. After doing some research, I came up with the following list of ports and hosts you’ll need to allow unfiltered to a specific list of hosts. After creating the exceptions, I restarted the “Microsoft Azure AD Connect Authentication Agent”. The errors stopped and Azure AD Pass-through started to function correctly! Also the status of the Authentication Agent now reports a status of active. Well, it’s October 18th 2017 and the Fall Creators update (Feature update to Windows 10, version 1709) is now available for download. In my particular environment, I use WSUS to deploy and manage updates. Update: It’s now May 2018, and this article also applies to Windows 10 April 2018 update version 1803 as well! Update: It’s now October 2018, and this article also applies to Windows 10 October 2018 update version 1809 as well! I went ahead earlier today and approved the updates for deployment, however I noticed an issue on multiple Windows 10 machines, where the Windows Update client would get stuck on Downloading updates 0% status. I checked a bunch of things, but noticed that it simply couldn’t download the updates from my WSUS server. Further investigation found that the feature updates are packaged in .esd files and IIS may not be able to serve these properly without a minor modification. I remember applying this fix in the past, however I’m assuming it was removed by a prior update on my Windows Server 2012 R2 server. 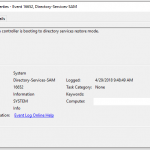 On your server running WSUS and IIS, open up the IIS manager. Make sure there is not a MIME type for .esd, if there is, you’re having a different issue, if not, continue with the instructions. Click on “Add” on the right Actions pane. 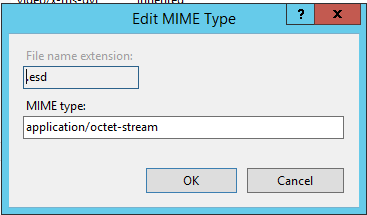 File name extension will be “.esd” (without quotations), and MIME type will be “application/octet-stream” (without quotations). You’ll notice the clients will now update without a problem! Happy Updating! 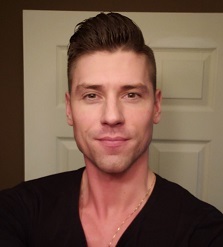 This is an issue that effects quite a few people and numerous forum threads can be found on the internet by those searching for the solution. This can occur both when taking manual snapshots of virtual machines when one chooses “Quiesce guest filesystem”, or when using snapshot based backup applications such as vSphere Data Protection (vSphere vDP). An error occurred while taking a snapshot: Failed to quiesce the virtual machine. An error occurred while saving the snapshot: Failed to quiesce the virtual machine. As always with standard troubleshooting, I restarted the VM, checked for VSS provider errors, and insured that the Windows Services involved with snapshots were in their correct state and configuration. Unfortunately this had no effect, and everything was configured the way it should be. I also tried to re-install VMWare tools, which had no effect. In the days leading up to the failure when things were running properly, I did notice that the quiesced snapshots for that VM were taking a long time process, but were still functioning correctly before the failure. This morning during troubleshooting, I went ahead and deleted all the Windows Volume Shadow Copies which are internal and inside of the Virtual Machine itself. These are the shadow copies that the Windows guest operating system takes on it’s own filesystem (completely unrelated to VMware). To my surprise after doing this, not only was I able to create a quiesced snapshot, but the snapshot processed almost instantly (200x faster than previously when it was functioning). I’m assuming this was causing a high load for the VMware snapshot to process and a timeout was being hit on snapshot creation which caused the issue. While Windows volume shadow copies are unrelated to VMware snapshots, they both utilize the same VSS (Volume Shadow Copy Service) system inside of windows to function and process. One must also keep in mind that the Windows volume shadow copies will of course be part of a VMware snapshot. PLEASE NOTE: Deleting your Windows Volume Shadow copies will delete your Windows volume snapshots inside of the virtual machine. You will lose the ability to restore files and folders from previous volume shadow copy snapshots. Be aware of what this means and what you are doing before attempting this fix. When initiating manual backups or occasionally when automatic/scheduled backups run, a user may notice that Windows Server Backup may appear to “hang” when the status is reporting: “Preparing media to store backups…”. In some rare cases, it may actually be in a hang state, however most of the time, it’s actually consolidating and/or checking previous backups on the destination media. Open the Task Manager as Administrator, then click on the “Performance” tab, click on “Open Resource Monitor”. Flip over to the “Disk” tab, expand “Disk Activity”, and sort by name. You should see the read requests on the destination media, you’ll also notice that it is slowly progressing consecutively through each backup set (increments of 1, accessing multiple at a time). This confirms that the Windows Server Backup services are functioning and it is in fact running. In one case, I had 723 previous backups, and it took around 50 minutes to count from 1 to 723, and then the backup finally proceeded. I have also seen this occur when a previous backup failed or was cancelled. This occurs with Windows Server Backup on Windows Server 2008, Windows Server 2008 R2, and Windows Server 2012 R2.